District Deputy 1 Harold Marcotte leads the Rosary at St Patrick’s Grotto (the home of the Venerable Father McGivney honoras) in the lower level of St Patrick’s Basilica, Ottawa on March 26th. 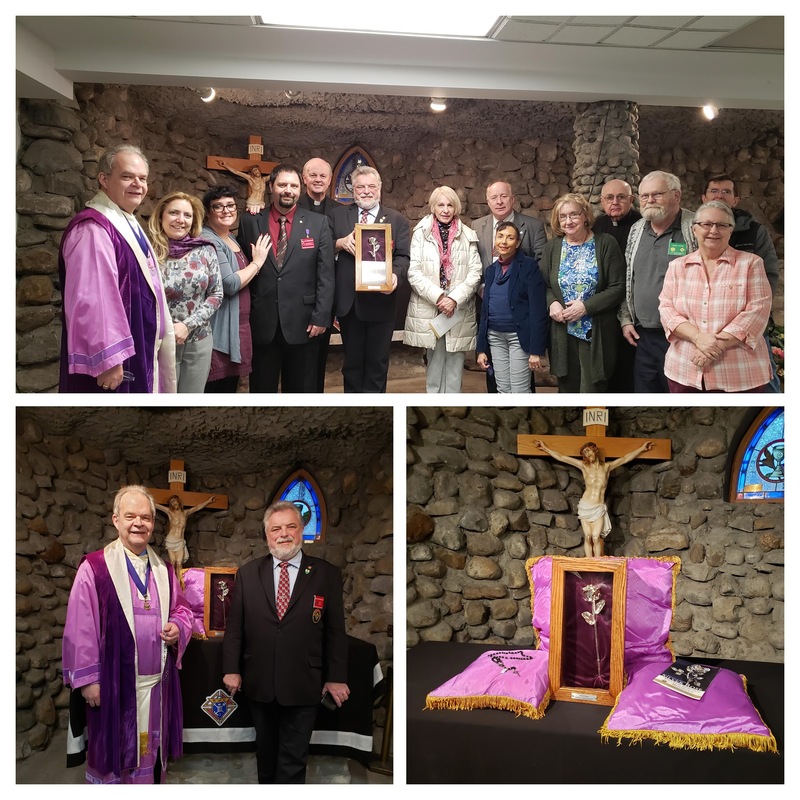 Knights and their families from surrounding Councils joined with State Deputy Dan Heffernan to celebrate KofC week in the City of Ottawa, and Founders Day on Friday March 29th. A dinner on Sat March 30 will complete the festivities.